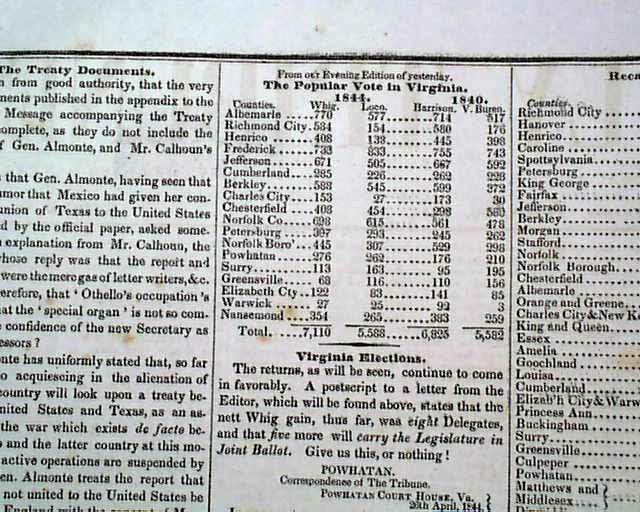 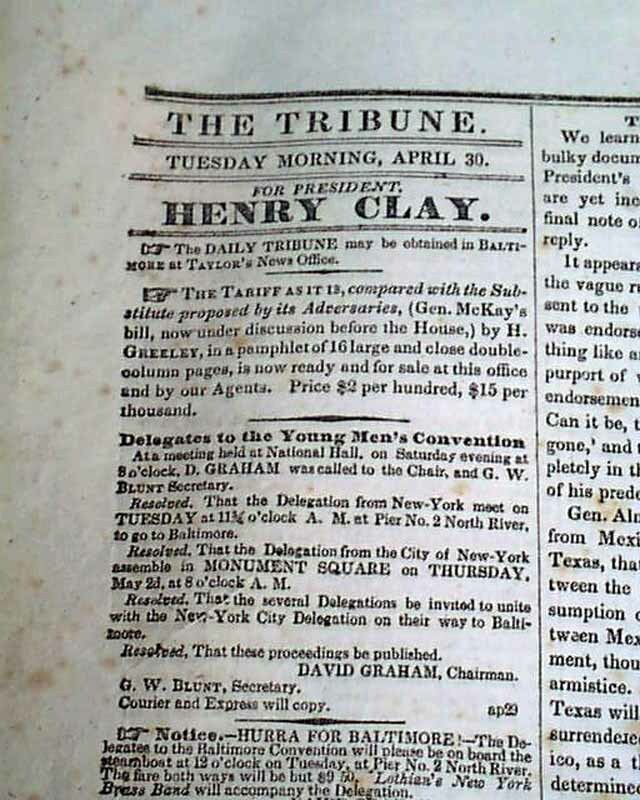 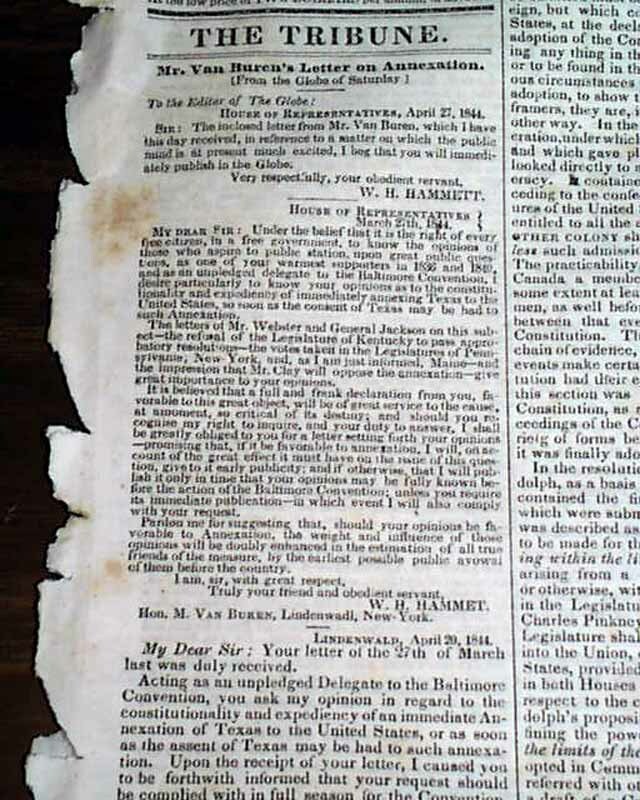 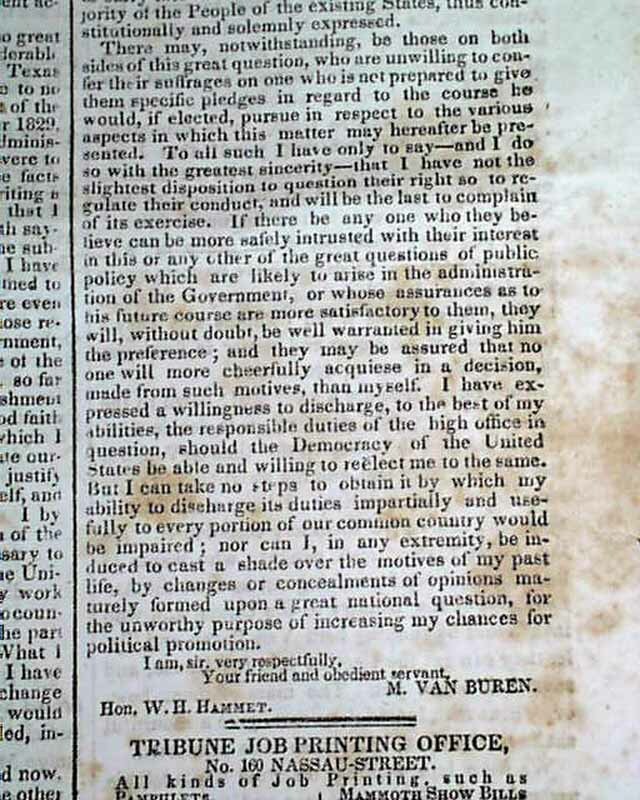 NEW-YORK DAILY TRIBUNE, April 30, 1844 Taking much of the front page is: Mr. Van Buren's Letter on Annexation written from his Lindenwald estate, signed in type: M. Van Buren. 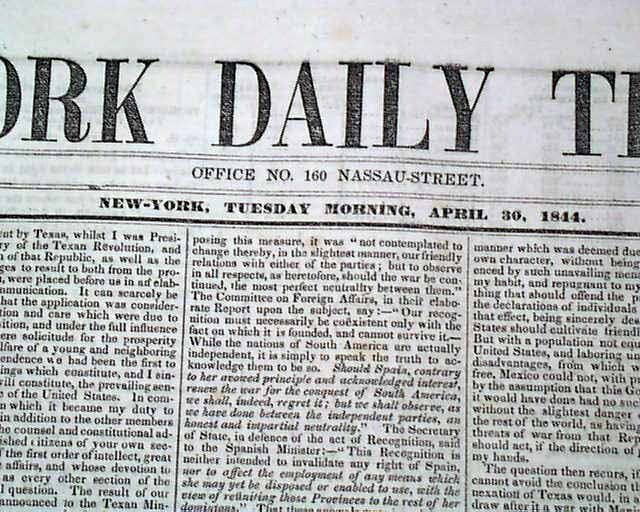 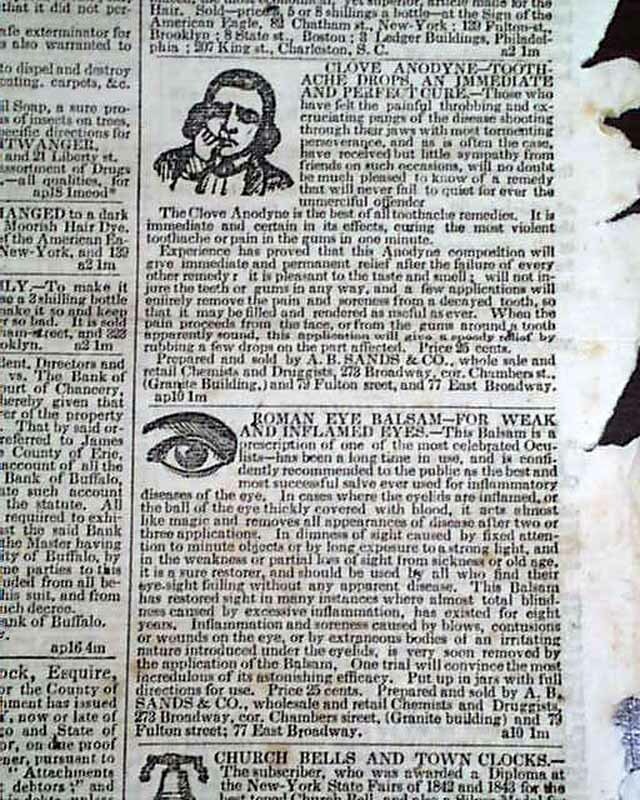 Other news of the day includes: "New-York and Erie Railroad" "Drunkeness And Crime" "Matters At Washington" and much more. 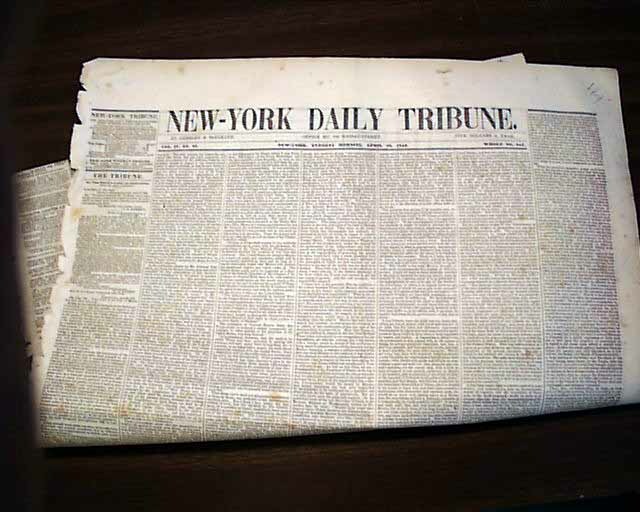 Lite foxing, mostly in the lower half, otherwise good.